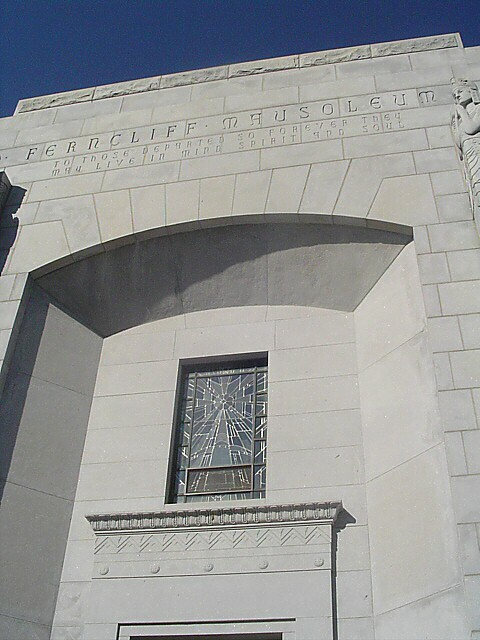 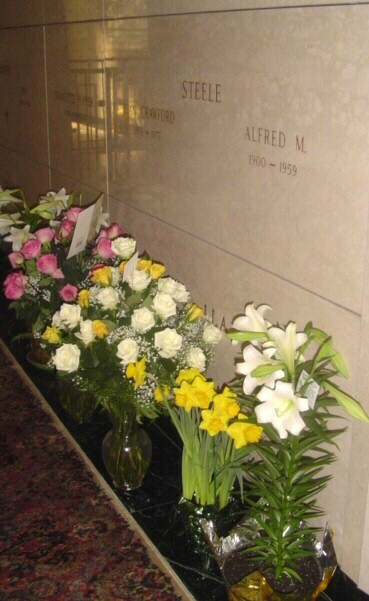 For the third year in a row, I traveled out to the Ferncliff Mausoleum in Hartsdale, New York (about 40 minutes north of NYC), to pay my respects. 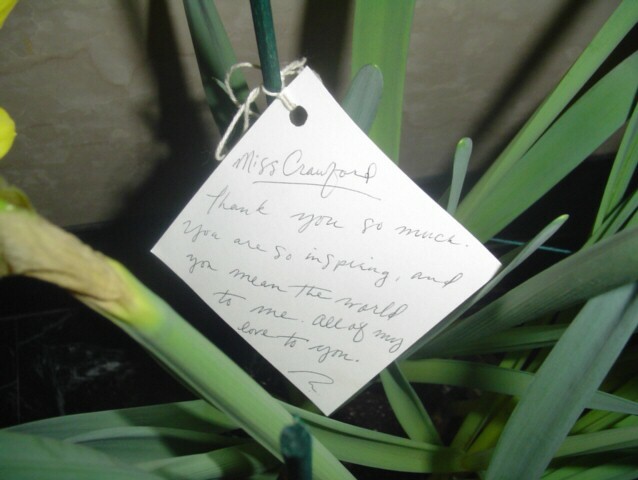 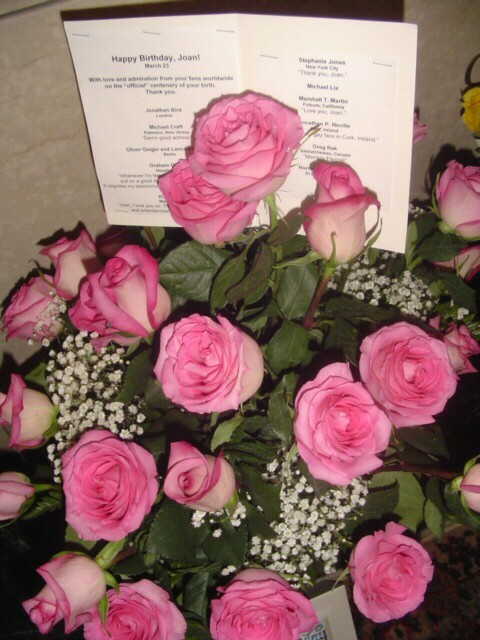 And, for the fourth year in a row, readers of this website took up a collection to buy flowers to honor her. 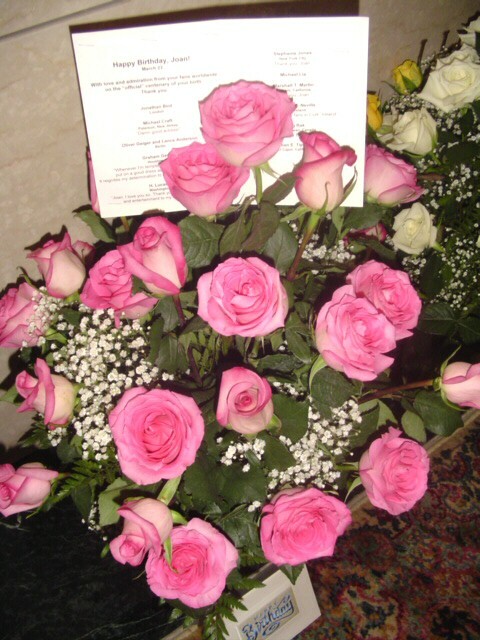 Thanks to Joan's fans worldwide, and again to Cascade Florists of Hartsdale, for helping to remember her so beautifully. 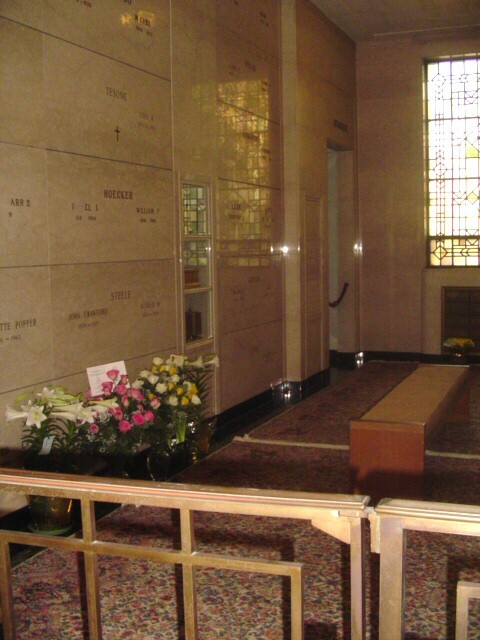 Above: The entrance to the mausoleum. 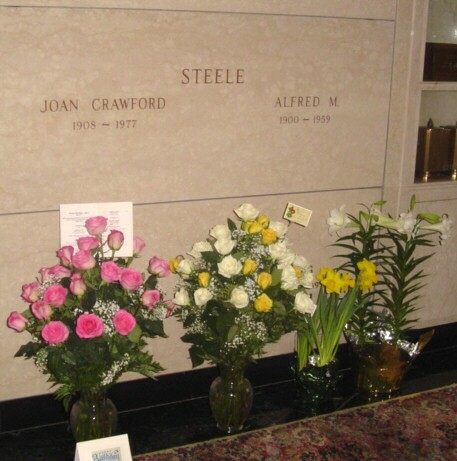 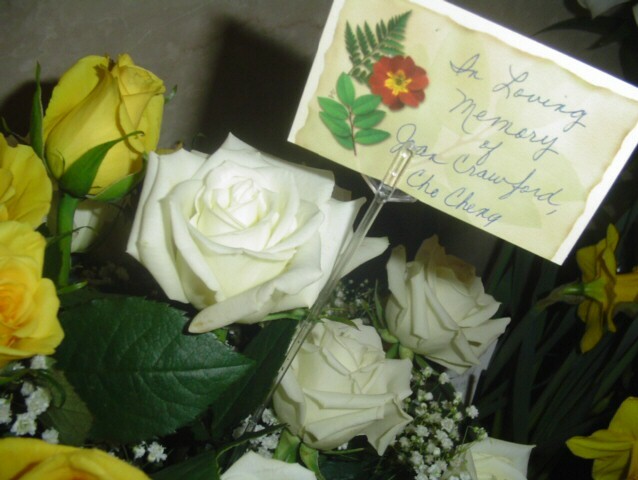 Below: Joan's crypt and the flowers that fans had delivered for her birthday. 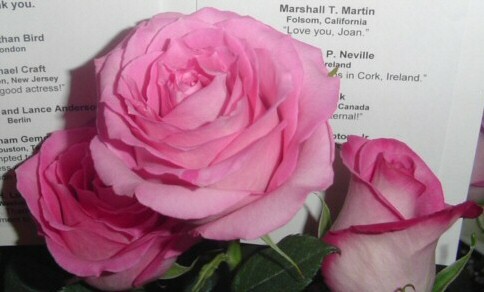 Below are closer shots of the pink roses and card that readers of this website sent. 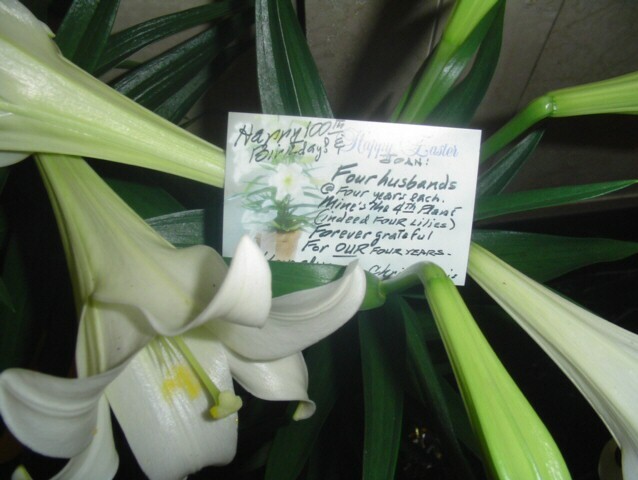 Below are close-ups of the loving cards from other Joan fans.